In 1971, Dr. Zimbardo placed newspaper ads to find normal, healthy, intelligent college students for a mock prison experiment at Stanford University in California. They flipped a coin to determine who would play the initial nine guards and nine prisoners for several weeks. They were paid $15 a day. “That is disturbing,” Dr. Phil notes. Dr. Zimbardo agrees. “It was disturbing then, it’s disturbing now when I look at it,” he says. Dr. Phil explains the college students were from all over the country, and within 36 hours the prison guards were cruel to the prisoners in what they knew was just an experiment. “What is it that takes a good kid and makes them all of a sudden become cruelly evil?” Dr. Phil asks. “Most of the roles we play are good roles: you’re a cheerleader, or you’re a teacher. It’s only when you play a certain role in a situation where the system puts pressure on you to use that role differently. So, you could be a good guard, or you could be a bad guard. When the system says, â€˜These guys are dangerous prisoners,’ which is what the guards began to think, then â€˜We have to teach them a lesson.’ Just as with the taser. So, it’s really a fine line between good and evil. It’s not a very clear boundary. The rest of the people in your group push you to be more and more extreme,” Dr. Zimbardo says. Dr. Zimbardo even noticed that the experiment started to change him as well. “Because I made the mistake of being not only the researcher, but I was the prison superintendent. And if you’re the prison superintendent, your main concern is the guards and your institution, not the prisoners ” the prisoners come and go. Same way if you were an administrator in a hospital. You care about the nurses more than the patients,” he says. [AD]”You became indifferent?” Dr. Phil asks. The prison experiment was supposed to last weeks, but it was shut down in six days because it got out of control. To learn more about the Stanford Prison Experiment, click here. Dr. Zimbardo was an expert witness in the defense of Staff Sergeant Ivan “Chip” Frederick, one of the prison guards at Abu Ghraib. “The lawyer for one of the guards, Staff Sergeant â€˜Chip’ Frederick, contacted me. This is a super American kid, a profile of the ideal soldier. He’s got nine metals and awards; his ratings were always excellent. My defense of Chip Frederick was until the moment he stepped into that basement in Abu Ghraib, he’s ideal. And in a very short time he’s there, he’s now doing these terrible things, so here’s a classic instance of the power of the situation,” he says. 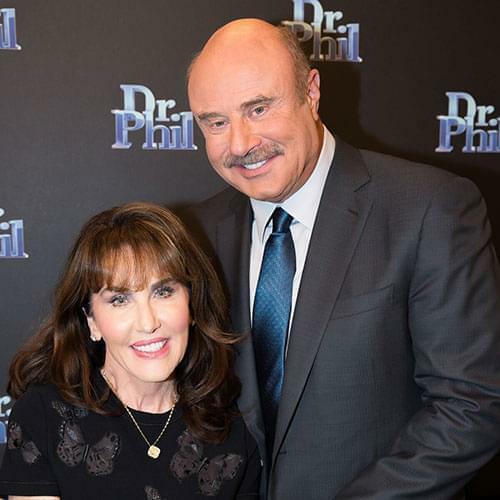 “They didn’t necessarily have any histories of lacking empathy, being insensitive to others, being abusive, or violent or torturous in any other relationships in any of their lives,” Dr. Phil notes. 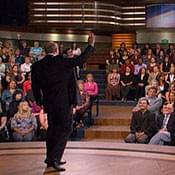 Dr. Phil questions his audience. Many of them believe that a person’s behavior might be changed based on the dynamic of the group. [AD]”What we underestimate is how often we go along to get along. And you really want to be liked. You want to be liked by strangers,” Dr. Zimbardo says. 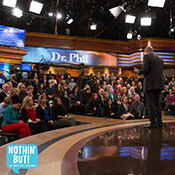 Join the discussion on the DrPhil.com message board, Facebook and Twitter. Do you think you have an inner demon that could be unlocked, depending on the situation? Share your thoughts!